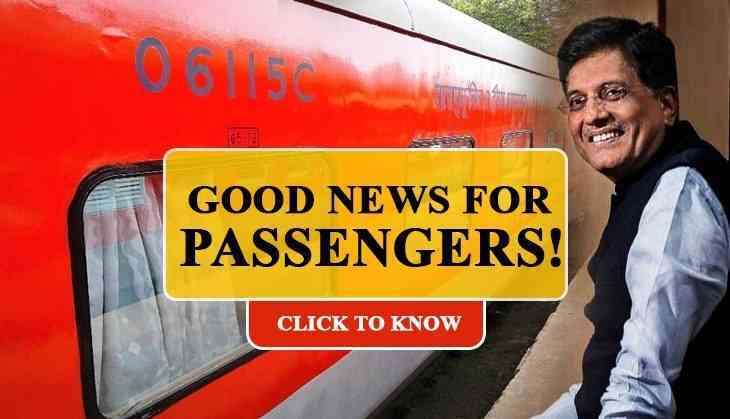 It must be good news for the passengers of Indian Railways as Indian Railways Minister Piyush Goyal has announced to start a new train i.e. new Rajdhani Expresses soon. The new train will start on the route between Delhi to Mumbai which will also cover the Kalyan, Nasik and Khandwa in the Central Railway zone in Maharashtra, Railways Minister Piyush Goyal said Thursday. Reportedly, this will be the first such train that will be passing through the central zone and covering Chhatrapati Shivaji Maharaj Terminus (CSMT), Kalyan, Nasik, Jalgaon, Khandwa, Bhopal, Jhansi, Agra, and Hazrat Nizamuddin, PTI reported. Currently, there are only two Rajdhani trains that are running in between Delhi and Mumbai. ‘We will soon flag off another Delhi-Mumbai Rajdhani which will be the first Rajdhani to pass through Central Railways zone. This was a request from the Chief Minister of Maharashtra, Devendra Fadnavis,’ Goyal said. Meanwhile, the current fleet size of Rajdhani trains on the railway network is 23, including two to Mumbai. Currently, two Rajdhani trains one from Mumbai Central and the other from Bandra Terminus run on Western Railway. This will be the first Rajdhani in the state which will run via Madhya Pradesh route, instead of going from Gujarat route.